We in the University Library can offer some evidence of Mr. Wolfe’s senior year. 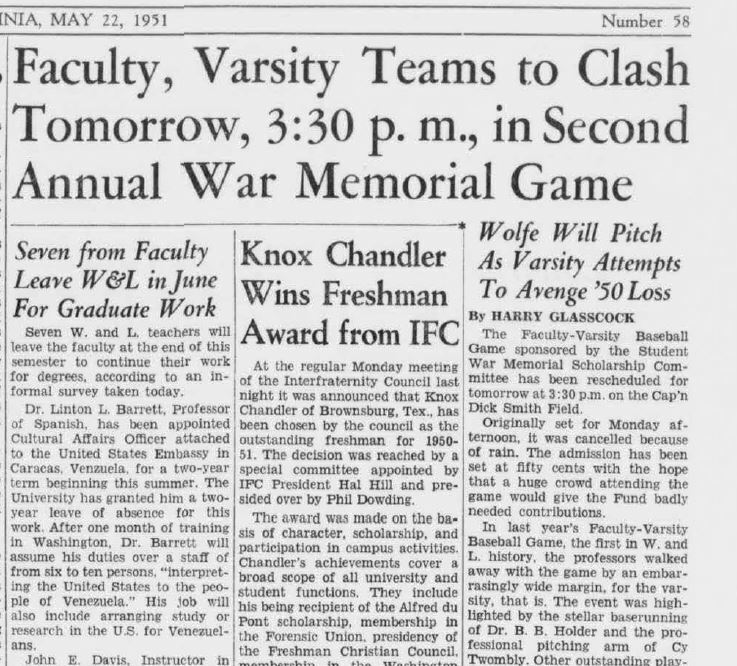 The 1951 Calyx, the “Annual Publication of the Students of Washington and Lee University,” contains numerous examples of the young Mr. Wolfe’s achievements as a student, including his service as sports editor of the Southern Collegian, his fraternity membership (Phi Kappa Sigma), and his official senior photo (below), with an annotation listing more of his accomplishments. 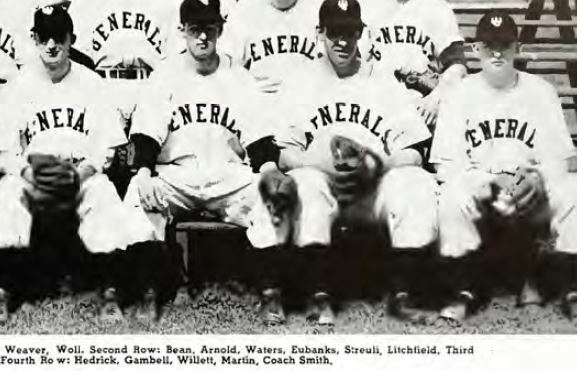 He can be seen in his baseball attire (although misidentified as “Wolf” in the caption), perhaps offering an early glimpse of an interest in white clothing. Perhaps needless to say, the University Library has an extensive collection of books written by Tom Wolfe. 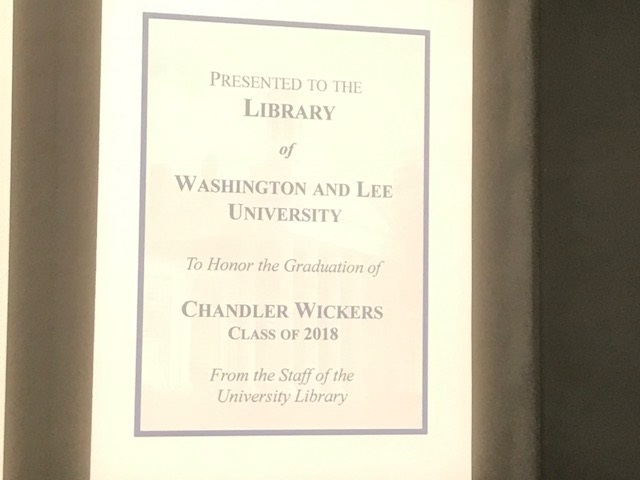 These books and their bookplates, along with a little information about each student, will be on display on the Main Floor of Leyburn Library through the week of Commencement. We entusiastically thank these young women and men whose work and spirit have done so much to enhance the University Library. We will miss you and we wish you the best of luck!